Instead of trying to find your perfect match in a dating app, we bring you the “Author-Reader Match” where we introduce you to authors as a reader you may fall in love with. 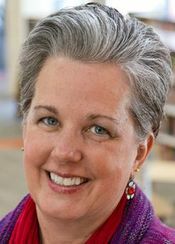 It’s our great pleasure to present BECKY CLARK! Light-hearted, cozy mysteries with funny, quirky characters you want to hang out with in real life. 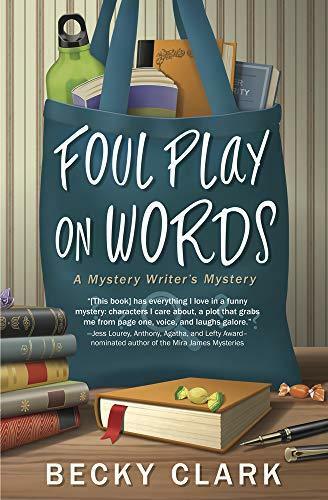 The newest book is Foul Play on Words, book #2 in the Mystery Writer’s Mysteries, following Fiction Can Be Murder. In both, Charlemagne “Charlee” Russo is a mystery writer who keeps stepping in the metaphorical (and sometimes literal) dog poo of life. Married Colorado empty-nester who gets much too excited about forensics, tap dancing, FBI profiling, Broadway musicals, the purses she makes out of rescued books, true crime cases, German chocolate cake, coffee, vinyl LPs, and wine … not necessarily in that order. Must love dogs because there’s at least one in every book I write. Must understand the phrase “suspension of disbelief” because how many bad things can happen to one protagonist?? Must love stories about ordinary people going about their ordinary lives when—BLAMMO—something terrible happens to them! All they want to do is crawl back under the covers until they come to the realization that eating grilled cheese sandwiches isn’t going to make their problems go away. Must not be offended by a wayward expletive lobbed, almost always, out of frustration, fear, or shock. No different than what you’d say if you were driving with me.